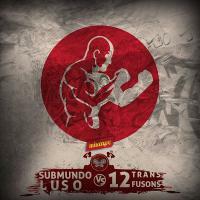 “Submundo Luso vs 12transfusons” is a new mix tape that features rappers from Angola, Mozambique, Brazil and Portugal. Released on New Year’s Eve after five months of preparation, the project brought together hip-hop promoters from the blogs Submundo Luso [pt] in Mozambique and 12transfusons [pt] in Angola. The two met online and the former invited the latter to collaborate. In this interview for the blog Underground Lusófono [pt], Astérix o Néfilim (Astérix the Giant, in English), a rapper, producer and manager at 12transfusons, talks about the effort, which counted the participation of artists from all over the globe and is now available as a free download. He also shares his views on the artistic scene in Cabinda – a tiny province in the north of Angola – and the challenges caused by such isolation.